We stayed at the Boworn last january (2008). Very nice and helpful staff. 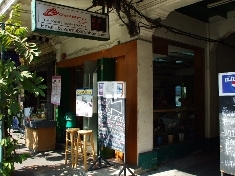 Nice, clean rooms, nearby Kao San road (5 min walk). Definitely a great place to stay during your visit to Bangkok. Thanks Johnny and Marit.